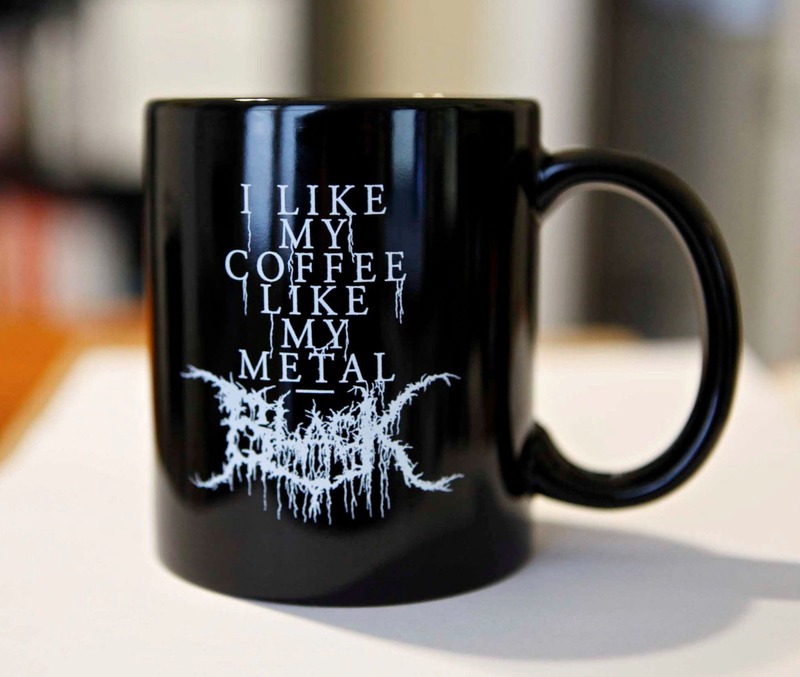 Black Metal. Black Coffee. Yep... this is the combo to help you celebrate your combined love of all things DARK. 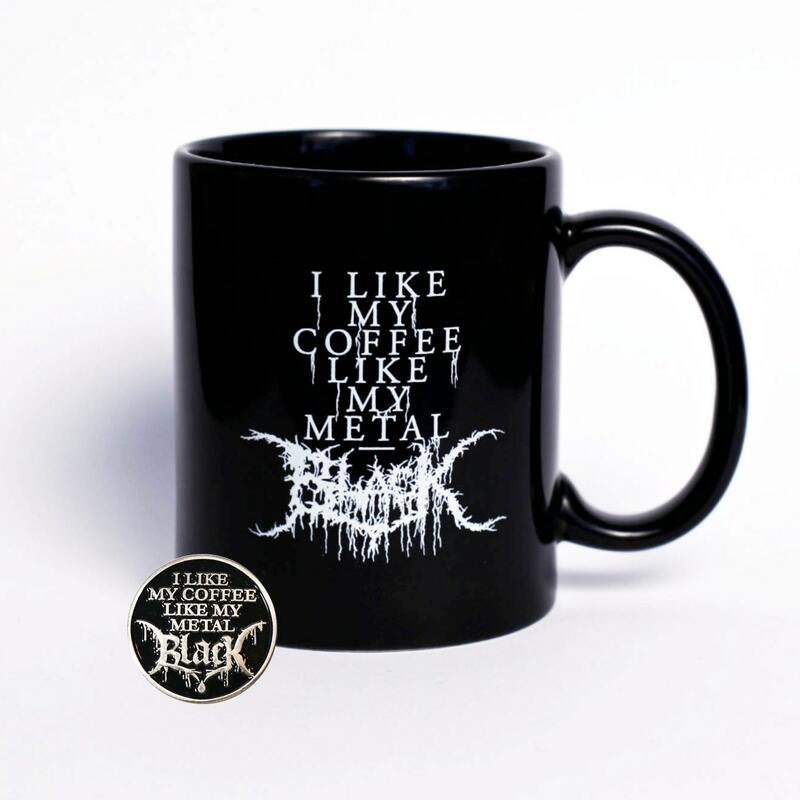 This is the classic "I like my coffee like my metal... BLACK Coffee mug + the new matching enamel pin. The mug is a standard issue 11 oz. black coffee mug with white ink. The print is on both sides of the coffee mug so no mater if you're left or right handed, the world will still see that you are brutal. 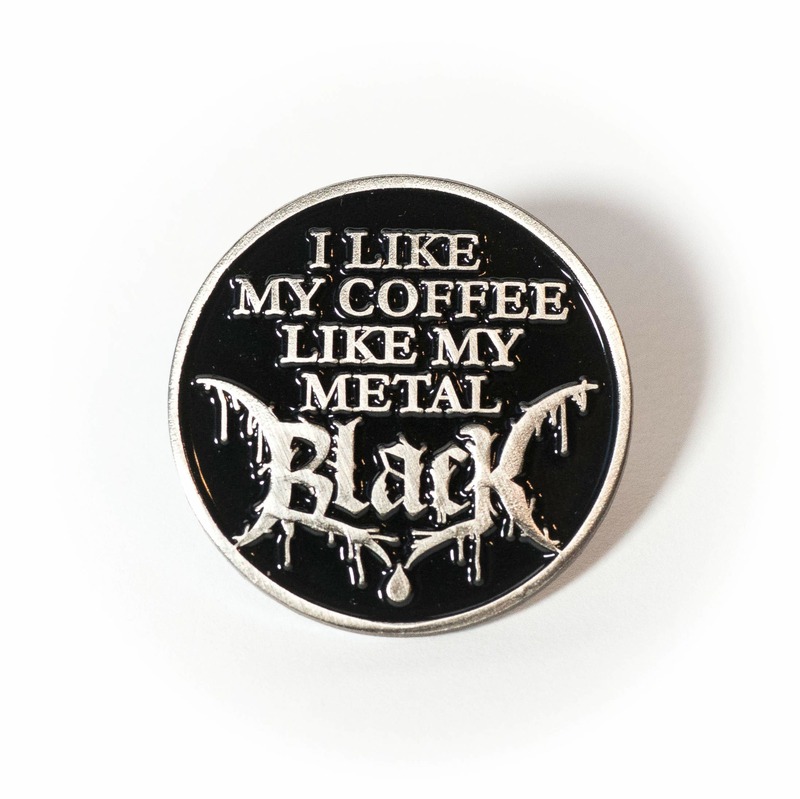 The pin is soft enamel with nickel finish and 1" round. From the limited edition initial run of 100 pins. Both ship in a super-sturdy box to assure safe arrival.